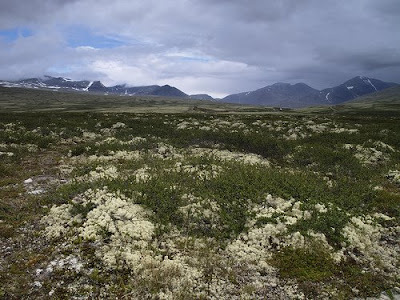 I had intended to post my thoughts on gear performance in Rondane but life has kept getting in the way. I have three more days at work and then I'm away for the family Holiday for two weeks so unfortunately you'll have to wait. If I get chance I will try and draft some posts while I'm away. Perhaps two on gear: one on backpacking stuff and one on photographic kit. I will also probbaly return to Rondane one last time to show the route we actualy took, show the route stats and, having had some more time to reflect on it, sum up my feelings on the trip. What I have done in the meantime is to finish off putting the trip account into a single, printable document which can be found on Scribd. It's basicaly the same as what's been posted here so contains no surprises, but it's how I like to record my trips. There'll be radio silence here for the next couple of weeks. Thumbs up for lots of interesting reading to have to catch up on on my return! Have a good holiday and take it easy. Yeps, geniet de vakantie en dan lezen wij ons weer in twee weken!